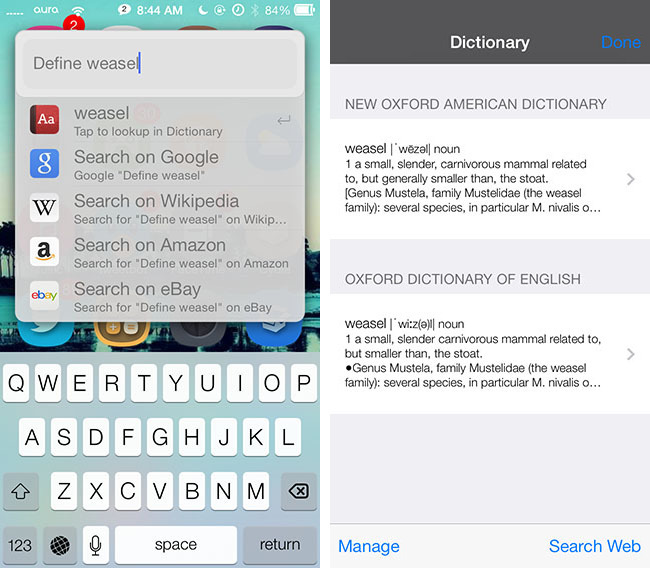 Weasel is a new jailbreak tweak extending the features and capability of Spotlight. Just like Alfred productivity app for Mac, Weasel is a very helpful JB app if you use Spotlight very often. It will make you more productive with seamless functionality of searching, calculator, music integration and more! – Relevant read: Enough of Flappy Bird and Ironpants? Try Out the Happy Flappy Bee! 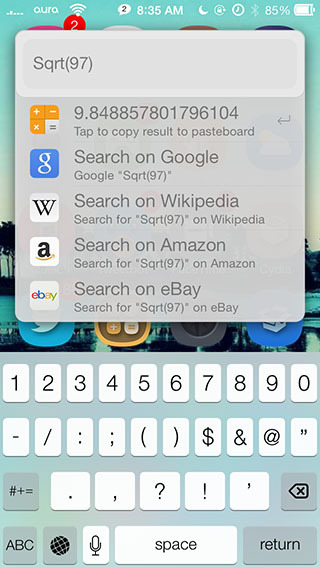 Just like Spotlight it allows you to search for apps, Contacts and search the web. 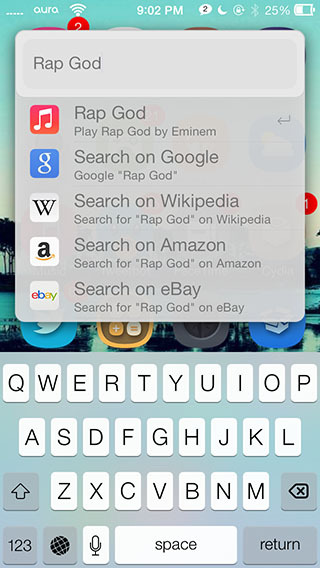 It makes it a lot easier to search and play Music on your iPhone as you can play a song directly from the search results. You can also use it as a calculator, and copy the results to the clipboard. You can search directly on sites like Google, Amazon, eBay, Wikipedia etc. You can also run some system commands like respring, reboot, power off, turn-on/off Wi-fi by typing system and tapping on the relevant option in the search results. Unlike Spotlight, you can activate Weasel iOS 7 productivity app with an Activator action. This way you can access it from anywhere in iOS and not just the Home Screen. You can get Weasel iOS 7 jailbreak productivity app from Cydia for $1.99.